If you’re desperate for a natural solution for seasonal allergy relief, essential oils for allergies can help. There’s research that proves they work in fighting pesky allergy symptoms such as sneezing. Seasonal allergies can make life miserable. Your head feels like it weighs 100 pounds. Your eyes are constantly tearing up and you can’t stop sneezing and wheezing. These symptoms, at best, annoying, and at worst, truly debilitating, make it hard to do anything with ease. You can’t focus at work or study. And allergies make it difficult to stay in shape and exercise. According to the National Capitol Poison Center, there are 50 million people in the U.S. alone who suffer from seasonal allergies. This makes it the sixth-most common chronic condition in the U.S. The vast majority of people who try to tame seasonal allergies with a remedy use antihistamines. There’s nothing particularly dangerous about using antihistamines, unlike, say, other prescription drugs that may have serious side effects. This wasn’t always the case, however. A generation ago, antihistamines caused serious drowsiness. And although most modern antihistamines don’t make you sleepy, there is some cause for concern. If you’ve been taking antihistamines for several years, you may want to stop after reading this…. Now, granted, the study only shows a correlation, not direct causation. In other words, the study didn’t prove the antihistamines caused dementia. But why take the risk? 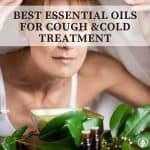 Especially when essential oils for allergies are virtually completely safe for everybody to take…. 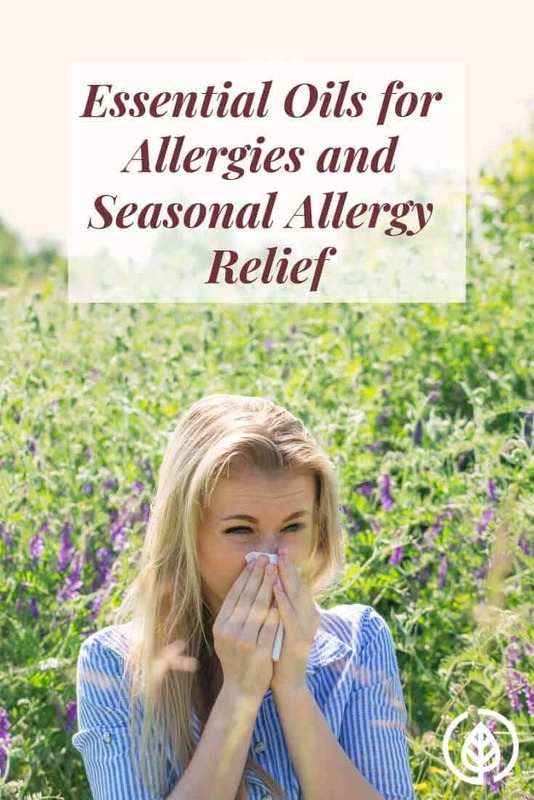 We’ll cover some of the best oils for season allergy relief shortly. Not that you need more convincing, but let’s list a couple other reasons why antihistamines can be dangerous to take over the course of many years…. Antihistamines may cause or worsen depression and interfere with thinking and concentration, according to Dr. Andrew Weil, M.D. “Some evidence also links them with an increased risk of glioma, the most common type of malignant brain tumor,” Dr. Weil adds on his website. If you’re new to using essential oils, one of the handful of oils you should start with is lavender. Among its many uses, lavender oil can help ease seasonal allergy symptoms. And it’s not just New Age healers who think so. There’s actually research that offers some proof it works. 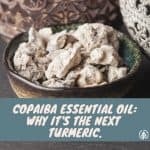 The first part of this conclusion is easy enough to understand: the inflammation in your nose which produces allergies calms down after you breathe in some lavender oil. As for the second part, what it means is that it prevents the enlargement of mucous cells. At least in mice. While it’s true that mice aren’t humans, their genetic, biological and behavioral characteristics closely resemble those of us. It might be creepy to think that we’re a lot like mice. But if lavender can ease allergy symptoms of mice, perhaps it can with humans as well. In this study, the researchers found lavender oil to be so effective that they said it may be useful as an alternative medicine for bronchial asthma. Peppermint oil is another great starter oil as it has many different functions. 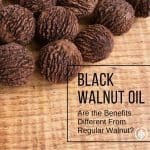 According to MedicalNewsToday.com, it’s one of the best oils for allergies. The website points to this study that says peppermint oil relaxes smooth muscle. What does that mean if you’re an allergy sufferer? It reduces those uncontrollable, spasm-like contractions that cause coughing fits. In addition, peppermint can help ease ancillary symptoms that allergies may cause. Mental fatigue and mild depression and anxiety come to mind. According to this study in Evidence Based Complementary and Alternative Medicine, a blend of sandalwood, frankincense and ravensara oil eased symptoms of rhinitis. Now granted, you’ll have to take the results of this study with a grain of salt for two reasons. First, rhinitis is a chronic disease that’s independent of weather or the time of year. However, the symptoms of rhinitis have a lot of similarities with seasonal allergies. The second reason this study isn’t a monumental scientific breakthrough is that only 27 test subjects were in the experiment group. Nonetheless, the small study does show promise. Another study on frankincense in particular shows that it lowers inflammation related to bronchitis and asthma. 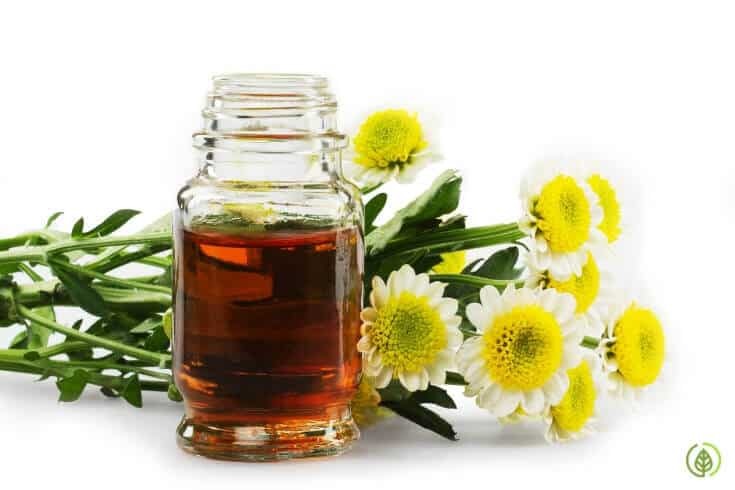 The above-referenced link to Medical News Today also lists lemon oil, tea tree oil and chamomille as potentially being effective for seasonal allergies. 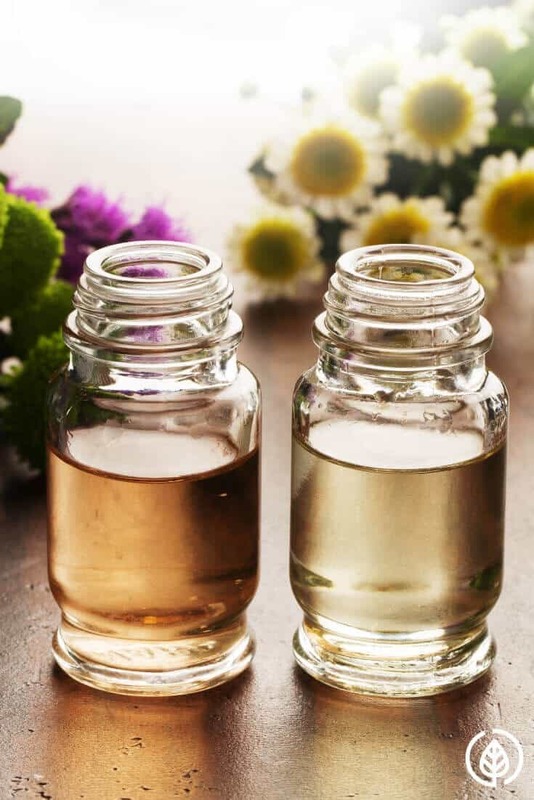 These three oils are more effective for skin conditions related to seasonal allergies versus nasal/respiratory issues. Tea tree oil is also known as melaleuca oil. Directly ingesting essential oils is controversial. There’s no long-term clear-cut proof that it’s safe to add essential oils to water and drink it. (Yet there’s also no proof that it can harm your health.) Some natural health experts who advise against ingesting oils say that doing so may harm the digestive tract. Basil, wild orange and eucalyptus are other oils that are touted as beneficial for seasonal allergies. 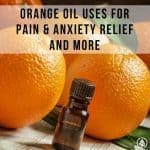 According to the Updated & Revised Essential Oils guide (expanded edition), here’s a way to treat allergies using oils. Take 3-4 drops each of melaleuca (tea tree), lavender and cilantro in a capsule 2-3 times per day. Put 2-3 drops of a special respiratory blend or peppermint on the chest and directly under the nose. Do this as much as needed. Drink 2-3 drops of lemon, wild orange or petitgrain in 8 oz of water. In addition to these recommendations, the guide also recommends supplementing with digestive enzymes and detoxifying remedies. Allergies may be a sign that the liver is under-performing. Thus, strengthening the digestive and lymphatic systems may help ease symptoms. Are Essential Oils for Allergies Safe for Kids? In one word: yes, but with a catch. You see, essential oils contain very strong therapeutic substances. For this reason, it’s probably not best to use them on newborns and very young toddlers. Then again, most newborns and young toddlers won’t show signs of seasonal allergies. But for young kids, oils are mostly safe, if you use them, well, safely…. To make sure an essential oil isn’t too powerful, you’ll need to dilute it with a carrier oil. A carrier oil, such as coconut oil, shea butter, almond oil and olive oil helps neutralize the potency of the medicinal and volatile oils. For very young kids, say around 2 years old, you can simply use an essential oil diffuser a couple times a day. If you suspect your child has a skin condition associated with seasonal allergies, it’s of course always best to consult a professional such as a naturopathic doctor. But if you’re going to apply an oil to your child’s skin, make sure it’s diluted. About 15-20 minutes in a diffuser is the maximum time you should expose a young child to oils. For older kids, you can leave the diffuser on for 30-45 minutes. According to the National Association for Holistic Aromatherapy, do not give peppermint oil to kids 3 and under. This is because peppermint contains menthol. Menthol can cause breathing difficulty in kids. Other oils to avoid, says the NAHA include eucalyptus, rosemary, and the above-mentioned ravenstara. Also don’t use any immune blends on very young kids, NAHA cautions. To use this oil blend, simply shake the combination well in a dark bottle. Then, apply it to your chests, sinuses, wrists and anywhere else that troubles you. Seasonal allergy symptoms may be caused not just by allergens themselves, such as pollen. While you may not be able to avoid symptoms completely, you may suffer less if you eat a low-sugar/low-starch diet; don’t drink alcohol and take supplements that help your digestive system and liver. But if you do experience symptoms, using some of the above essential oils for seasonal allergies may help. They have been used for thousands of years; essential oils are not merely a fly-by-night health trend. Give them a try. Do you use essential oils for allergies? Does it work? What oils or blend did you try? Share with others by leaving a comment….